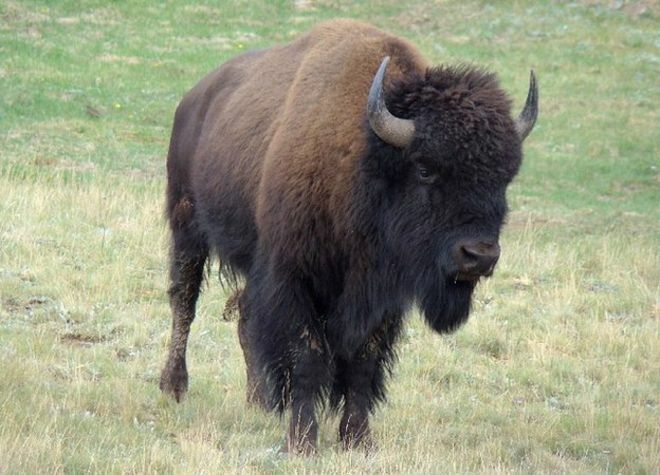 Beefalo, also referred to as cattalo, are a fertile hybrid offspring of domestic cattle and the American bison. They were created to combine the characteristics of both animals for beef production. Beefalo are primarily cattle in genetics and appearance, with the breed association defining a full Beefalo as one with three-eighths bison genetics, while animals with higher percentages of bison genetics are called "bison hybrids".